The $819 billion stimulus plan passed by the U.S. House last week gives rural residents something to look forward to, reports Farmgate, putting the likely amount for food and agriculture at $27 million, 3.3 percent of the package. Rural facilities would receive $200 million for public safety, day care, libraries, education and rural medical clinics, while another $500 million would ensure rural housing loan guarantees to boost home ownership and rural relocation. "$100 million will be appropriated to spur $2 billion in loans and grants to rural businesses which have been hampered with tight credit," Farmgare reports. "The stimulus bill will provide $2.8 billion for loans and grants to expand broadband Internet service to rural areas." Read more here. The University of Wisconsin Population Health Institute has received funding for a project to determine and rank the health of every county in the nation. Mobilize Action Toward Community Health, or MATCH, is funded by the Robert Wood Johnson Foundation. “The overarching goal of this project is to close the gap between 'what we know' and 'what we do' to improve health and reduce disparities,” said Patrick Remington, director of the institute. The concept for the project came from the institute’s six years of experience in the annual publication of Wisconsin County Health Rankings, a system that is employed by several states. "These rankings draw considerable attention around the state to the fact that a community’s health is determined by more than just its health care system. The rankings show that, in addition to health care, people’s health behaviors and the socioeconomic and physical environment all contribute to a community’s health." Read more here. "The last 10 years have been a sometimes rough and rocky road for Jacksonville's Lilly Ledbetter, but she had vowed to keep on traveling it until what she saw as an injustice was corrected," Mary Jo Shafer, the star's assistant metro editor, wrote in a story done partly by telephone interview with Ledbetter, who was in Washington for the White House signing. It noted that Ledbetter had spoken about the issue at at the Democratic National Convention and was one of several "everyday Americans" Obama invited to ride with him to his inauguration. Press Secretary Robert Gibbs said today that the White House expects a bill delaying the transition to digital television to pass the House, which failed to pass it this week under an expedited procedure that required a two-thirds vote. The House is expected to vote Tuesday under normal procedures. Ira Teinowitz of TV Week notes, "As president-elect, Mr. Obama and his transition team had urged Congress to delay the DTV changeover from Feb. 17." (Read more) The Senate passed a delay without dissent, but Republicans blocked passage of the bill in the House. Mississippi is the most religious state and Vermont the least religious, based on a Gallup Poll that asked more than 355,000 American adults, "Is religion an important part of your daily life?" In Mississippi, 85 percent answered yes; in Vermont, 42 percent. In case you're wondering, Mississippi would have been No. 1 even without African Americans. The overall number was 65 percent. "Joining Mississippi in the top 'most religious' states are other notches in the Bible Belt: Alabama (82%), South Carolina (80%), Tennessee (79%), Louisiana (78%), and Arkansas (78%)," reports Religion News Service's Adelle Banks. The next six states were also in the South, broadly defined: Georgia, North Carolina, Oklahoma, Kentucky, Texas and West Virginia. "New England predominates in the top 'least religious' states: Following Vermont are New Hampshire (46%), Maine (48%), Massachusetts (48%), Alaska (51%) and Washington (52%)," Banks writes. The poll's overall error margin is plus or minus 1 percent; the margin for individual states could be as much as 4 points for smaller states. For Banks's story and the full list, from USA Today, click here. After her husband's death from cancer in 1999, Linda Bell Warren of Big Stone Gap, Va., has preached the word about smoking and the health problems that accompany it. A story about her crusade begins a weekly series in The Post, the local weekly newspaper, about health and personal lifestyle decisions. Editor Ida Holyfield said in a note atop the Warren story, "When it comes to our health, how much of our situation can be linked to lifestyle choices, and what should we be doing to help ourselves and our loved ones? This week, a widow shares her story of the toll cigarette smoking took on her husband. Next week’s story deals with suicide prevention and how loved ones of those who have committed suicide cope." Tal Warren "said that without question, cigarettes took his life. He smoked two packs a day for 30 years,” Holyfield writes. Although Warren went several years without any major health problems and even quit smoking cold turkey in 1987, his history with cigarettes took a turn in 1998. Only eighteen months later, he passed away in the night, another victim of smoking. Weekly newspaper editorial contest deadline Mon. Entries for the annual Golden Quill editorial writing competition of the International Society of Weekly Newspaper Editors must be postmarked by Monday, Feb. 2. Any paper published fewer than five days per week can enter editorials published in 2008. There is no entry fee, and non-members may enter. The group is offering free memberships to rural newspapers (see below). Contest entries should reflect ISWNE's purpose, encouraging the publication of editorials that identify issues that are or should be of concern to the community, offer an opinion, and support a course of action, with an emphasis on local topics. Up to four editorials or signed opinion pieces may be entered, but no more than two from any individual. Send an original and one copy of each entry. The copy must be on white letter-size paper and should eliminate identifying information, such as a byline or mug shot. On the back of both the original and the copy, put the newspaper's name, full mailing address, date of publication, full name and title of the writer, and the writer's e-mail address and phone number. Mail to Chad Stebbins, Missouri Southern State University, 3950 E. Newman Road, Joplin MO 64801-1595. ISWNE is offering free one-year memberships to rural publishers and editors. Members receive the group's monthly newsletter and its quarterly journal, Grassroots Editor. ISWNE has more than 250 members in seven countries, mostly owners of papers in the U.S. and Canada (its annual meeting will be on Prince Edward Island this summer). It offers a hotline for members to get advice from others on editorial policy, journalism ethics and other topics. "It is not uncommon for a question to bring as many as 50 responses within 24 hours," says Stebbins, the group's executive director. To learn more about the free membership, contact him at stebbins-c@mssu.edu. We reported here that job loss in the period from December 2007 to November 2008 was a predominantly urban phenomenon. That trend appears to be changing. "Reports from around the country over the past several days show that rural communities are catching up in this race that nobody wants to win," reports Bill Bishop of the Daily Yonder. "Rural communities that already have had rates of unemployment in the Yonder's November study appear to be getting worse. And regions that had minimal job loss are beginning to experience layoffs." Hegeman writes, "While the advent of the Internet has spurred a flurry of online news ventures, the birth of a traditional daily newspaper remains a rare event, particularly when dailies are cutting back print editions and bolstering their Web presence." Watt told her starting the paper was made easier by falling prices for presses, a symptom of newspapers' troubles, and the need for smaller profit margins than papers or chains with larger debts. However, the startup has many challenges. The Times recently sued Watt, his wife and four other Ledger employees last month, alleging computer fraud, fraudulent misrepresentation, and breach of fiduciary duty. They say their contracts has no non-competition provisions and their work is protected by the First Amendment. "New regulations that make it costly for pharmacists to sell durable medical equipment may be thwarted if a bill introduced by U.S. Rep. Marion Berry, D-Ark., becomes law," reports Frank Wallis of the Baxter Bulletin of Mountain Home. The regulations Berry opposes require pharmacists to become accredited in order to sell durable medical equipment to Medicare and Medicaid beneficiaries. In many rural communities, pharmacists are the only health professionals who can supply such items as therapeutic shoes, prosthetic devices and home dialysis supplies and equipment. Last October, we noted a prison labor program that had New Jersey inmates vying to work on one of six state-owned farms. But last week, one farm was closed after a high-profile inmate escape. Skillman Farms, a dairy farm in Montgomery Township, was a coveted worksite for minimum-security inmates, but after 22-year-old Marc Harris escaped from his detail three weeks ago, the state Department of Corrections announced that only civilian staff work there. "It only takes one guy to screw it up," Frank Papa, administrator for AgriIndustries, the state-owned farm system, told Nyier Abdou of The Star-Ledger of Newark. The declining auto industry has meant dire times for many car dealerships, especially those in smaller cities with less sales volume. The lack of big-ticket sales has had a big impact on towns that depend on sales taxes. In Victorville, Calif., which has no property tax, motor-vehicle sales accounted for half the sales tax revenue, reports Rico Gagliano of Marketplace. The House version of President Obama's economic stimulus package passed tonight with none of the Republican votes he had hoped for. "But the White House’s bigger worry could the final negotiations between the House and Senate, where a growing urban-rural split among Democrats threatens to delay a settlement," reports David Rogers of Politico. Also on the broadband front, "High-tech companies struck out with the House when they sought tax credits for spending on bringing broadband infrastructure to rural and so-called underserved areas," report Greg Hitt and Elizabeth Williamson of The Wall Street Journal. "But the firms struck pay dirt" in the Finance Committee, getting a 10 percent tax credit for investments in current broadband technology and a 20 percent investment tax credit for "next-generation" broadband, "not only in rural and underserved areas but any residential area." In the House, there was division among Democrats, with some (mostly liberals) telling Alec MacGillis of The Washington Post that "the plan may fall short in its broader goal of transforming the American economy over the long term," and fiscal conservatives like Rep. Jim Cooper, D-Tenn., complaining to at least one network (sorry, we failed to note which) that at the beginning of the most exciting presudency in half a century, "the old bulls are doing business as usual." • $40 billion to the Department of Energy for "development of clean, efficient, American energy." Also, $400 million for rural businesses initiatives including development of renewable energy. • $39 billion to school districts and public colleges and universities distributed through existing formulas, plus $15 billion to states as incentive grants as a reward for meeting key performance measures. The Title I program for poor students would get $13 billion "to help close the achievement gap and enable disadvantaged students to reach their potential." Another $13 billion would increase the federal share of special-education services, and $13.9 billion would increase the maximum Pell Grant for college students and pay for increases in program costs resulting from increased grant eligibility. The bill has $16 billion to repair, renovate and construct public schools "in ways that will raise energy efficiency and provide greater access to information technology," and $3.5 billion to improve higher-education facilities. • $25 billion to states for other high-priority needs such as public safety and other critical services, which may include education. • $27 billion for highways according to a formula, and $5.5 billion for competitive grants to state and local governments for "surface transportation investments." Also, $830 million for repair and restoration of road on park, forest, tribal, and other public lands. • $9 billion for the National Telecommunications and Information Administration’s (NTIA) Broadband Technology Opportunities Program to improve access to broadband. • $4.6 billion to build, repair or rehabilitate water-resource infrastructure for navigation, hydroelectric power, flood control, environmental restoration, shore protection and other purposes. • $3.4 billion for repair, restoration and improvement of public facilities at parks, forests, refuges and on other public and tribal lands. For a PDF of the Senate list, via the Journal, click here. 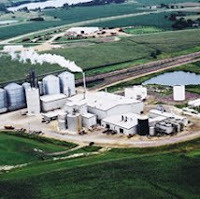 "The executive director of the Iowa Renewable Fuels Association said Tuesday that more biofuels plants might close because of tight profit margins, but that demand for ethanol should be maintained," reports Dan Pillar of The Des Moines Register. "In Iowa, about one-tenth of the 3 billion gallons of ethanol capacity in the state now is idled through the bankruptcy of plants or production slowdowns," writes Pillar. "The two biggest gains have come from (1) military personnel stationed at bases, and (2) defense contracts," Kromm notes. "The impact? 'These two aspects of defense spending have accounted for more than 4 percent of total rural U.S. economic growth.'" The report looks at eight Southern states (Alabama, Georgia, Kentucky, Louisiana, Mississippi, North Carolina, South Carolina, Texas and Virginia) that have seen big influxes of military money. Private funeral services will be held Friday evening in Marietta, Ga., for retired investigative reporter Richard Whitt, who died of an apparent heart attack at his home Monday. Whitt retired from the Atlanta Journal-Constitution in 2006; from 1977 to 1989 he was a reporter for The Courier-Journal of Louisville, where he won the Pulitzer Prize for general local reporting on a Kentucky fire that killed 165 people and prompted changes in safety laws. Earlier, he worked at papers in Middlesboro, Ky.; Waterloo, Iowa; and Kingsport, Tenn.
Whitt liked to say that he practiced "redneck journalism." His typical explanation for that was, "It’s the kind of journalism that when you read the paper in the morning you say, ‘Damn, that makes me mad,’ and it makes your neck red. That motivates people to do things.” But it also reflected his poor, rural upbringing, to which he remained connected. And it had another double meaning, that journalism was also for rednecks -- for those who wanted to practice it, and those who can be served by it. He was driven by a sense of social justice for the working class from whence he came, but never saw himself as a crusader and always wanted to enjoy his work. He was a reporter’s reporter, our friend, and a great example to rural journalists who aspire to the top of the craft. An open house will be held at Whitt's home, 1000 Waverly Court in Marietta, from 2 to 8 p.m. Saturday. In lieu of flowers, contributions may be made to the Richard Whitt Memorial Fund for Rural Journalists at the University of Kentucky School of Journalism and Telecommunications. For more on that and Rich Whitt, click here. UPDATE: Whitt's family held a private memorial service Sept. 19 to bury his ashes at the family homeplace, reports Mike James of The Independent in Ashland. Newspapers of Landmark Communications, including the dozens operated by Landmark Community Newspapers Inc., will put staffers on furlough for five days this year to protect jobs and profitability, the company said yesterday. Landmark's metropolitan papers, in Norfolk and Roanoke, Va., Greensboro, N.C., and Annapolis, Md., will also freeze wages. The East Tennessee Chapter of the Society of Professional Journalists will hold a "Writing Green," a conference about environmental journalism, in Knoxville Friday, March 27, from 9 a.m. to 5 p.m. The seminar is co-sponsored by the Environmental Studies Program and the Institute for a Secure and Sustainable Environment at the University of Tennessee. It promises to address many difficulties journalists face on the environmental beat. Panel topics include environmental law and policy, coverage of the recent coal-ash spill in nearby Roane County, "The Energy Beat: Coal in Appalachia" and "Introduction to Environmental Issues in Southern Appalachia." Jim Detjen, Director of the Knight Center for Environmental Journalism at Michigan State University, will deliver the keynote speech. Fees: $15 for SPJ members, $20 for non-members, $30 at the door, all including lunch. For more programming details and online registration, click here. President Obama is discovering that a Democratic majority in Congress does not always mean smooth sailing for his policy agenda. Energy issues divide the party, and the split often comes down to geography: those who represent areas driven by coal and manufacturing, and those who don't. "This brown state-green state clash is likely to encumber any effort to set a mandatory ceiling on the carbon dioxide emissions blamed as the biggest contributor to global warming, something Mr. Obama has declared to be one of his highest priorities," John Broder reports for The New York Times. He points out that "brown states" are typically battleground states, and their congressional races are often won by smaller margins. Support for green policies can often mean the difference between a win or loss. Here's the Times' map showing which states are most dependent on coal for energy, based on information from the Energy Information Administration. Lee Enterprises, publisher of many rural and small-town newspapers as well as the St. Louis Post-Dispatch, "is learning the public- relations benefits of making its executives do without," Robert MacMillan of Reuters writes on the wire service's Media Files blog. Lee said in its annual proxy filing yesterday that it was freezing the pay of its top five executives and would give them no performance bonuses, which could have been as much as two and a half times their salaries; or make any contributions to their long-term incentive plans, contributions that are usually made with company stock, which is currently trading at penny-stock prices. "These decisions are unlikely to make anyone happy, but they do avoid building up a restive employee base," MacMillan writes. As reported Dec. 31, "Lee is in trouble if it can’t negotiate new terms with its lenders — debt could overwhelm the company and potentially break it up." (Read more) Lee has large debt from its acquistion four years ago of the Post-Dispatch and other Pulitzer Inc. newspapers. Lee's proxy statements and other filings with the Securities and Exchange Commission are on its investors' page. "Our fair state is consistently ranked among the top 10 for obesity and obesity-related diseases, such as diabetes, stroke and heart disease. About 70 percent of Kentuckians are overweight or obese. The report says we sit – way too much. Almost a third of Kentucky adults reported they did not participate in any physical activities or exercise such as running, golf, gardening or walking, other than their regular jobs. And, of course, we eat too much," like the cart kid. UPDATE, Jan. 28: The bill to delay the digital transition failed to get the necessary two-thirds vote in the House today, forcing supporters to redouble their efforts and perhaps drop the expedited route that required them to get a supermajority. Here's the AP story. The Senate voted without dissent today to delay the scheduled Feb. 17 transition to digital television to June 12. "The vote is a big victory for the Obama administration and Democrats in Congress, who have been pushing for a delay amid growing concerns that too many Americans won't be ready" for the switch, writes Joelle Tessler of The Associated Press. 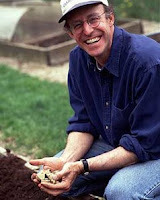 "The author of The Omnivore's Dilemma and In Defense of Food, Pollan has had more influence than any other contemporary writer on mainstream American thinking about what we eat. His manifesto--"Eat food. Not too much. Mostly plants"--should now be in political vogue. (Obama likes arugula.)" Forbes explains its effort: "Barack Obama's inauguration was the formal point at which the reigning ideology in Washington changed from "conservative" to "liberal." We use those terms without apology, as they are used in American political discourse." For its definition of "liberal," and the list, click here. Wind power may be just what is needed to give some struggling rural economies a boost, creating benefits like land lease revenue and additional employment opportunities. In an article for Fast Company, a magazine for entrepreneurs, Melanie Warner points to the town of Sweetwater, Tex., as an example of what wind farms can offer small towns across windy parts of the U.S.
Warner notes that construction of wind turbines requires local labor and service, creating jobs for blue-collar workers whose jobs are often outsourced. The tax revenue created by these jobs and rent paid to landowners helped put an additional $23.7 million into Sweetwater's school districts from 2002 to 2007. 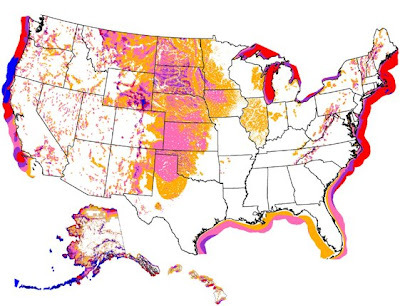 Here's a U.S. Department of Energy map showing the potential for wind power, based on wind speeds at 50 meters (164 feet) above the surface. Yellow areas have a "fair" resource potential; those in magenta are rated good, purple excellent, red outstanding and blue superb. For a larger version, click on the map. "Life in rural Alaska always has been treacherous," reports Kim Murphy of the Los Angeles Times. "But last year's dramatic escalation in fuel prices, combined with a disastrous fishing season, plunged the ramshackle villages of America's frontier into one of the worst crises in decades, prompting calls for humanitarian aid and demands for pricing reform." The cowboy image has been finely tuned over the years, evoking ideas of hard work, stoicism and isolation. But one organization is hoping to add another facet to that image: churchgoer. Cowbody churches are popping up because they are "culturally sensitive to the cowboy," says Russ Weaver, pastor of the non-denominational Shepherd's Valley Cowboy Church in Egan, Tex. Texas has 130 such specialized congregations that are part of the American Fellowship of Cowboy Churches, and perhaps more that are affiliated with other groups or no group, reports Lindsey Bever for the Fort Worth Star-Telegram. Not all are in the West; here's one in North Carolina. For a directory of cowboy churches, click here. Georgia Gov. Sonny Perdue is facing questions over his personal finances and his political relations with a lender, after the Atlanta Journal-Constitution reported a multi-million-dollar loan he got from a farm credit bank. On less than 20 percent collateral, the governor received a $21 million loan for himself and his two agribusinesses last September. Standard collateral for such a big loan is at least 50 percent, the AJC's Alan Judd reported. "The bank, AgGeorgia Farm Credit, focuses on real estate lending and carries just $55 million in business loans on its books, according to its latest quarterly report," Judd wrote. "Now a large proportion of that portfolio is devoted to the governor, who is a familiar figure to AgGeorgia’s leaders: Eight of the bank’s 23 directors contributed to Perdue’s re-election campaign in 2006." The loan, due March 1, is more than three times the net worth of $6.1 Perdue reported in 2006 financial disclosure papers. Perdue's finances do not have the transparency normally required of governors, since he cannot run for a third term. He is also unusual in his approach to business throughout his gubernatorial career. While previous governors have put their holdings into a blind trust during their term of office, Perdue has retained control of his businesses, Houston Fertilizer & Grain Co. and AGrowStar LLC. New York Gov. 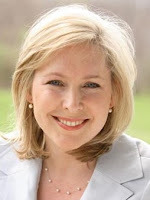 David Paterson's appointment of U.S. Rep. Kirsten Gillibrand, right, as senator to replace Hillary Clinton has provoked a "fierce ... reaction to her red-state tendencies" and laid bare "the stark divide between America's urban and rural cultures," particularly in New York, Upstate radio reporter and author Brian Mann writes on North Country Public Radio's blog, The In Box. Mann is the author of Welcome to the Homeland: A Journey to the Rural Heart of America's Conservative Revolution.